Nearly 3,000 Indiana corn farmers claim in a lawsuit that the Swiss company Syngenta prematurely released a genetically modified seed to market, costing them millions in losses from plummeting corn prices and a Chinese import ban. According to Keith Orebaugh, lead plaintiff who is seeking class-action status in the lawsuit, the price of corn has plummeted over the last two years since Syngenta introduced a genetically modified corn seed called Agrisure Viptera. Farmers claim the company sold the seed to US farmers and corporations without gaining approval from China, a key importer of US corn. The problems began when China banned US corn after it detected shipments containing the unapproved GMO trait, MIR 162. Orebaugh claimed because of the ban he suffered financial losses. He said he used to be able to sell a hundred bushels of corn for up to $700 in 2013. By late 2014, the same number of bushels was fetching about half the price. He doesn’t use Syngenta seed but, like thousands of farmers around the country, he blames Syngenta for the ban. 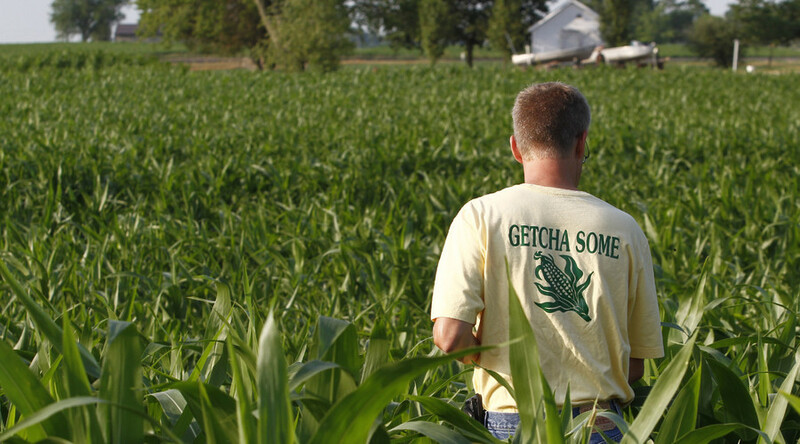 Farmers also blame Syngenta for misleading them about when the GMO corn could be sold in China. Syngenta made the request to sell GMO corn to China in March 2010, and told farmers and grain handlers that approval was on schedule by spring 2012. Incomplete filing by the corporation delayed the approval process, and Chinese approval for the corn did not come until December 2014. "Syngenta, however, chose not to inform growers and the grain industry of the growing danger. Instead, it crafted a plan to mislead grain handlers and growers to believe that Syngenta would have import approval from China by the time Viptera was harvested despite all indications to the contrary," the complaint says. "The purpose of this plan was to sell more Viptera." Syngenta’s legal counsel has denied the allegations, arguing the price of corn had dropped before China’s ban, and that the ban was introduced when China had its own record harvest. Lawyers for the Swiss company also say the corporation shared updates about the approval process with farmers and grain holders. In Indiana alone, losses were estimated to be in the millions of dollars, Steve Wagner of Wagner Reese LLP told The Indianapolis Star. The state is the fifth largest producer of corn in the US. The Indiana farmers join other lawsuits filed against Syngenta by farmers and grain exporters in Illinois, Kentucky, Minnesota, Iowa, Missouri, Kansas, Nebraska, Wisconsin, in both federal and state courts starting two years ago. Indiana farmer Orebaugh is seeking a class-action status in the lawsuit as a tactic to extend the state’s statute of limitations by several months, to give farmers more time to file individual claims. The state has a two-year limit on civil cases, which expired on November 19. The federal class-action lawsuits have been consolidated in federal court in Kansas City. Some of the claims were dismissed in September, but a federal judge allowed the rest to move forward. State lawsuits are being consolidated in a Minnesota state court, where the seed corporation has a subsidiary. In September 2014, Cargill – which produces and distributes agricultural products – sued Syngenta for prematurely commercializing Viptera. Archer Daniels Midland (ADM) sued the company in November 2014. Earlier this month Syngenta counter-sued Cargill and ADM over farmers’ losses in federal court in Kansas, arguing the exporters were really responsible for the losses because they shipped the GMO corn to China without approval. Syngenta said it was Cargill and ADM’s fault for not keeping the MIR 162 corn separate from approved strains. The company says it told Cargill in January 2013 that China’s approval for the GMO strain was not available, but Cargill “nonetheless doubled down on its gamble” by entering into contracts from February to July 2013 to ship more than 2 million metric tons of corn to China, according to Reuters. “Cargill and ADM decided that it was in their economic interest to try to ship corn containing Viptera to China anyway” to profit from high corn prices, the lawsuit said. In a related story, both Monsanto Co. and China National Chemical Corp have shown interest in acquiring Syngenta. The state-owned ChemChina offered $42 billion for the company this month, which would have transformed the Chinese state-owned company into a direct competitor with Monsanto. The bid was rejected. Syngenta has one of the broadest portfolios of seeds in the industry, with 6,800 varieties of its own proprietary genetics, according to Bloomberg.